The author provides us with a new way of thinking about peace and how to achieve it. 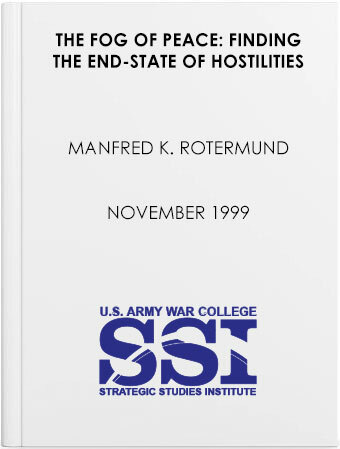 Peace, he argues, arrives only when domestically centered progress is established in a post-conflict environment. The end of hostilities is only the end of the shooting. It is not the end of danger. It is not the end of the animosities or typically the conditions leading to the hostilities. As a result, the end of hostilities represents the beginning of a transition to peace—not peace itself.